FusionCharts, adalah komponen yang bisa digunakan untuk menampilkan charts. As people get busier day by day, charts just doing the job of converting data into easily identifiable patterns and trends just isn't enough anymore. They have to present all information clearly and concisely, prioritize information for understanding them at-a-glance and remove any possibility of ambiguities. The caption of a chart should explicitly describe what the chart is all about. For example, in a marketing heat map chart showing the conversion rate from different marketing mediums, the caption should be – Conversion rates from different marketing mediums. The caption should also mention whether the numbers are in millions and the currency in $. In fact, the captions should be so descriptive that the axis labels if used are only left as reinforcements. However, with so many details put in the caption, they might turn out to be a bit too verbose in some cases. In cases like these, it is a good idea to delegate the units and number scale used to the sub-caption. If the data is name or category-based, and not time-based, it is a good idea to arrange the data in descending/ascending order. This is particularly helpful when you have a lot of data sets to display on the chart. With arranged data, it is very easy to find out who your best sales person is, which marketing medium is the best converting one and which state has the best employment rate. When you are using a horizontal chart (column, line, area, waterfall etc) and the labels are long or there are too many of them in a small space, slant them for better readability instead of rotating them. With the column chart you have the advantage that if the labels are very long, stretching into multiple words, you can use the bar chart instead. However, you don't have this option for the other charts where slanted labels will come in handy. Of course, if you have well understood labels like month names, you can skip alternate labels and keep them horizontal. Let's say you work in a hotel. You had a dip in reservations in September because a new hotel opened nearby and then you picked up again in October because you started offering a 25% discount. If this has to be explained to users (management in this case) by means of a chart, putting all this info on the chart itself will make it very cluttered. In cases like these, putting the detailed info in tooltips is of immense help. Only when the user is interested in getting more info about a data set, he hovers over it and gets all the required information. Your chart stays clean, yet you have given out all the info. Data analysis becomes more meaningful when the data being plotted on the chart is given a context. This is done using trendlines. With the context, it is easy to analyze if the sales figures in the current year are better than last year’s or if the target was met. Without the trendline, the chart would have just been showing the monthly sales for the year and you would have inferred that Q1 was good for you and Q3 was bad. With a simple trendline added to the chart, you can also infer that the sales achieved for most of the months were below the target and you have not met your annual target. If your chart has drill-down from annual to monthly data, monthly to daily data or category-based drill-down (regions to states), clearly mention that at the top of the chart. If you don’t do that, most users will not notice the drill-down and will be analyzing the chart only at the macroscopic level. Selamat atas implementasi NAGIOS XI di lingkungan perusahaan PRODIA. Comprehensive IT Infrastructure Monitoring:Provides monitoring of all mission-critical infrastructure components – including applications, services, operating systems, network protocols, systems metrics, and network infrastructure. Hundreds of third-party addons provide for monitoring of virtually all in-house applications, services, and systems. Multi-Tenant Capabilities: Multi-user access to web interface allows stakeholders to view relevant infrastructure status. User-specific views ensures clients only see the infrastructure components they're authorized for. Advanced user management simplifies administration by allowing you to mange user accounts easily. Provision new user accounts with a few clicks and users automatically receive an email with their login credentials. Extendable Architecture: Multiple APIs provide for simple integration with in-house and third-party applications. Hundreds of community-developed addons extend monitoring and native alerting functionality. Custom interface and addon development is available to tailor Nagios XI to meet your organization's exact needs. 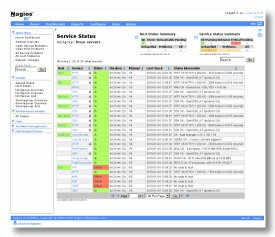 Want to take Nagios XI for a spin? Download a free 60-day trial to see how well it works. 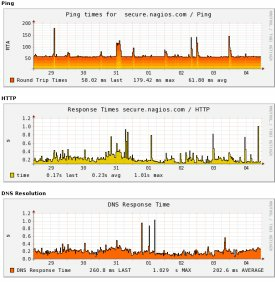 Selamat atas implementasi NAGIOS XI di lingkungan data center ICONPLUS. Selamat atas implementasi OPMANAGER di lingkungan Kementrian Keuangan. Selamat atas selesainya implementasi ASSET EXPLORER di lingkungan PPATK. Kemudahan pengelolaan asset manajemen IT sangat dibantu dengan adanya aplikasi ini. ManageEngine AssetExplorer is a web-based IT Asset Management(ITAM) tool that helps you monitor and manage assets in your network from Planning phase to Disposal phase. AssetExplorer provides you with a number of ways to ensure discovery of all the assets in your network. You can manage software & hardware assets, ensure software license compliance and track purchase orders & contracts - the whole nine yards! AssetExplorer is easily installable and works right out of the box. Discover and monitor all your IT assets (hardware and software) from one place. Selamat atas selesainya implementasi IT360 di PLN BATAM. Kami bangga melayani Anda. IT360 merupakan solusi terintegrasi yang dapat digunakan untuk memonitoring business service, network monitoring, server monitoring, aplikasi monitoring, database monitoring, bandwidth monitoring, IT asset monitoring yang dilengkapi dengan helpdesk berbasis ITIL. Semua solusi ini menjawab kebutuhan monitoring dashboard IT di banyak perusahaan dan instansi. Silahkan hubungi kami untuk menjawab seluruh kebutuhan ini. Managing mission critical business applications is now made easy through ManageEngine IT360. With agentless monitoring methodology, monitor your applications, servers and databases with ease. Agentless monitoring of your business applications enables you high ROI and low TOC. With integrated network monitoring and bandwidth utilization, quickly troubleshoot any performance related issue with your network and assign issues automatically with ITIL based ServiceDesk integration. End-to-end Network infrastructure platform that offers advanced fault and performance management across WAN, VoIP services, network devices, and other IT infrastructure such as printers, UPS etc. Automatic discovery of network devices. Extensive list device and interface templates containing device configurations. Monitoring of server load, disk utilization, Processes, memory utilization, Disk I/O stats, server CPU utilization etc. Enables an IT administrator to identify whether a problem reported is caused by the underlying operating system or the application or a service. Capabilities include support for Linux, Windows, Solaris, AIX, HP UX etc. Provides in-depth monitoring of web applications, be it a CRM application, banking/finance application or any business critical application. Ensures the health and availability of your application servers through Microsoft .NET Monitoring, Oracle Application Server Monitoring, JBoss Monitoring, Tomcat Monitoring, WebLogic Monitoring, WebSphere Monitoring and SAP Perfomance Management. Ensures higher uptime by detecting and diagnosing problems of application servers and their services faster. Monitors a heterogeneous database server environment that may consist of Oracle database, MS SQL, Sybase, IBM DB2 and MySQL databases. Out-of-the box reports, DBAs can plan inventory requirements and troubleshoot incidents quickly. Just direct NetFlow exports from your NetFlow-enabled devices to get the most detailed view of bandwidth usage across your network. Provides an in-depth visibility into network traffic and its patterns. Gives business knowledge of real-time network behavior and how traffic impacts the network's overall health. Complete inventory of hardware and software assets. Monitors the software license compliance to maintain the complete software asset inventory management. Integrated service desk to manage all your communications from a single point. ITIL ready service desk that includes Incident management, Problem management, Change management & Configuration management Database(CMDB). Includes a Solutions (Knowledge Base) module that allows you to document best practices and solutions to common problems in an online knowledge base. Ability to convert the alerts arising out of the system as Incident in the Service Desk automatically. Simple interface with more canned reporting profiles. Report can be created off every attribute that is monitored. Scheduled and Automatic emailing of periodic reports. Ability to export data into either PDF, CSV or XLS formats. View in-depth historical data through 7/30 reports. Note: The above architecture applies to Enterprise Edition of ManageEngine IT360.